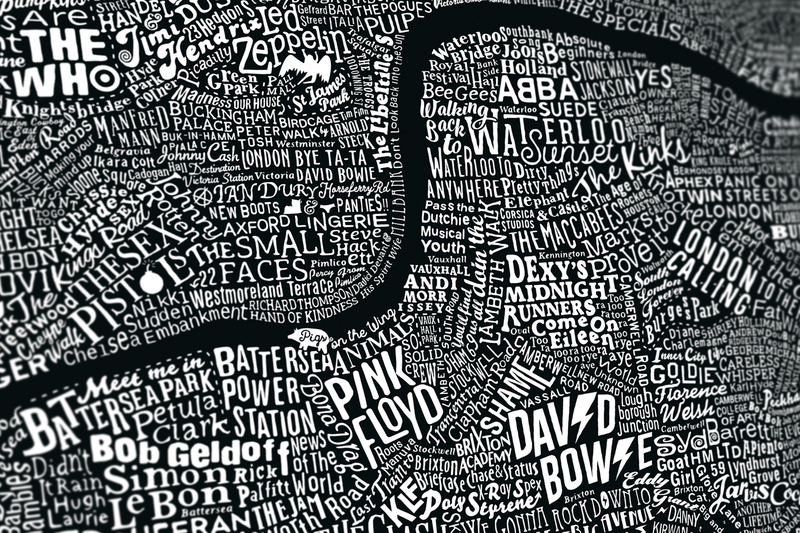 A dense typographic map jamming to the sound of London’s rich musical heritage. Bringing centre stage a heady, curated mix of music, musicians, songs and lyrics that make our Capital one of the most rocking cities in the world. Dig deep to enjoy discovering places made famous in song, songs about the city, and references to the places musicians were born, gigged, lived it up and partied, but also where they crashed and burnt or died. Spy the locations of iconic recording studios, music videos and famous album covers, Abbey Road, oversized inflatable pigs, Firestarters and Waterloo sunsets. 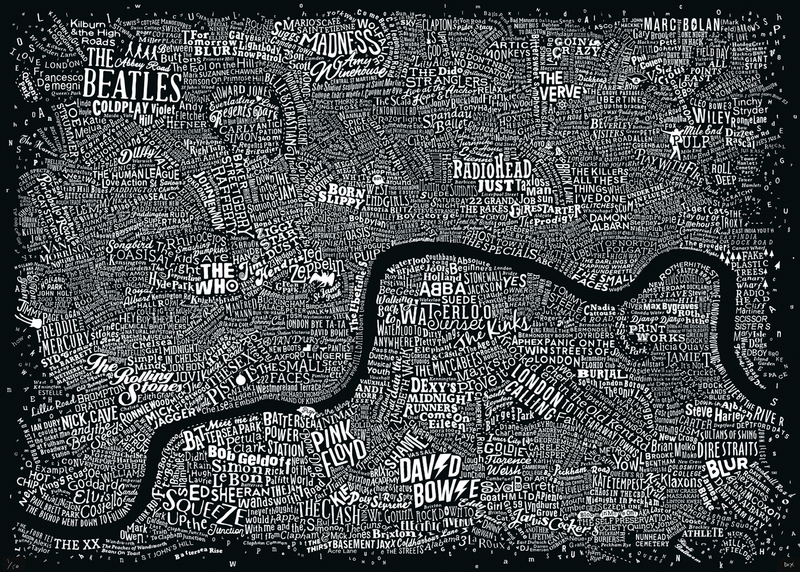 Nine months of agonisingly detailed typography and research went into this unique journey into London’s lyrical underbelly. 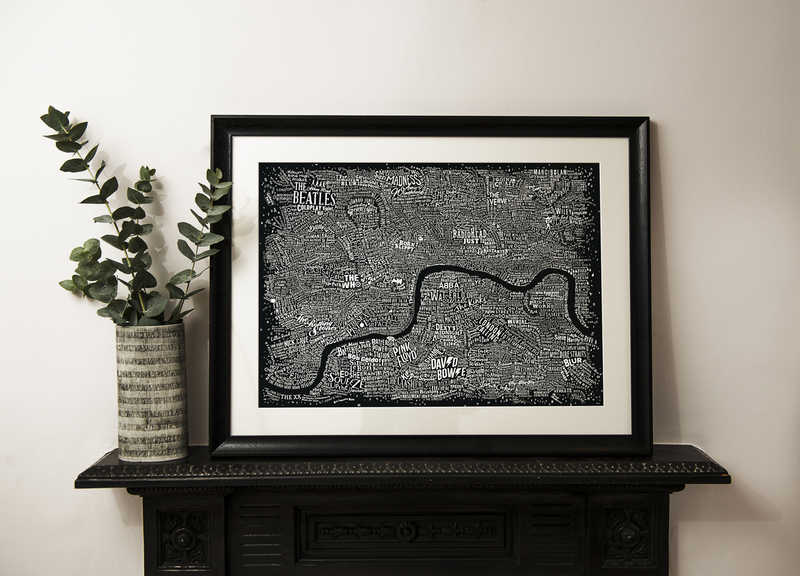 Unframed prints wrapped carefully in tissue paper and packaged in a postal tube. 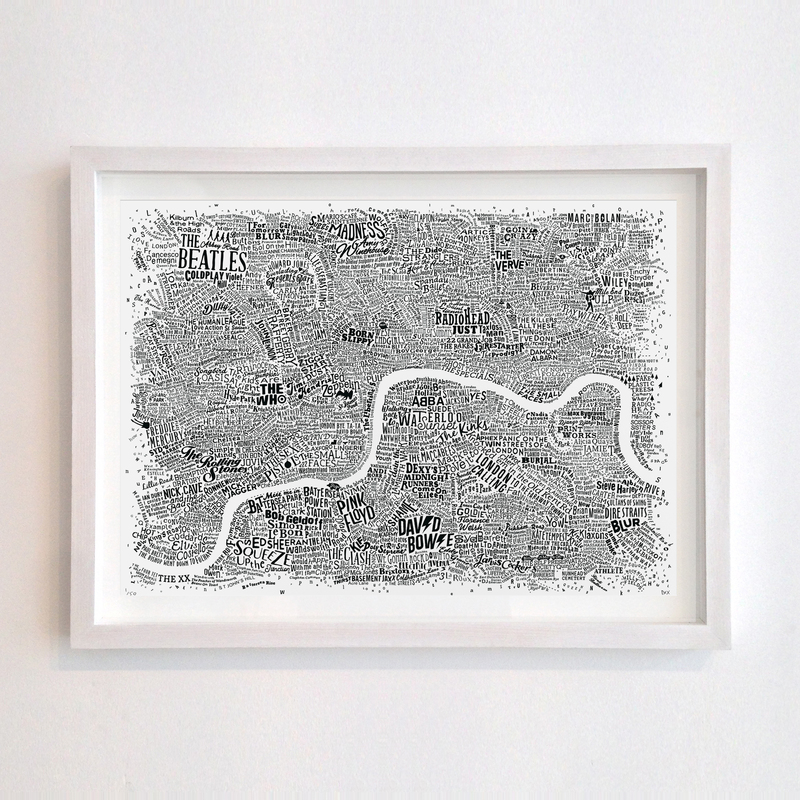 A Limited edition signed and numbered giclée print on fine art archival paper. Size 70cm x 50cm. Limited edition of 50.